eBay’s marketplace is second only to Amazon with an innovative model of consumer-to-consumer on top of business-to-consumer sales. Get the data you need to manage your placement and shipping using comprehensive eBay and Amazon product research and insight tools from Algopix. Signing up to eBay is probably the easiest way to become an online seller. All you need to do is sign up for free on eBay. You can choose between a Personal Account, which is recommended for more casual sellers, and a Business Account. You should decide in favor of the Business Account when planning on selling large quantities or reselling products. Besides these two free options, you can also choose to run your own eBay store in exchange for a monthly subscription that starts at $4.95. Before selling your first product on eBay, you need to lay the foundation for success which in most cases is a thorough eBay product market analysis. Understanding supply and demand in the marketplace, as well as expected profit margins will help you make the right product sourcing decisions. Even at this early stage of your eBay seller journey, Algopix can help you with its invaluable data insights with the eBay product research tools. Knowing what product to sell, at what price, and in what market will put you in a great position to successfully grow your eBay business. Algopix’s product market research platform enables you to quickly research products individually or in bulk. The most important results are displayed right at your fingertips, so you can make the best business decision possible. This allows you not only to get a general idea about the market’s demand, but also the expected profit for selling the product. Digging a little bit deeper into the results even reveals the estimated sales volume and gross merchandise volume for the past month for each eBay marketplace selected. eBay charges many different fees that can be confusing even for experienced sellers. There are insertion fees, Final Value Fees (FVF), PayPal fees, and possibly store subscription fees, just to name a few. This maze of fees should not deter you from building your eBay store. Algopix offers a detailed analysis of the expenses related to selling your product on eBay’s marketplaces – including FVF fees, PayPal fees, and taxes for each market – enabling you to get a clear view over your expenses. No more eBay fees for sellers surprises! One of the most prominent numbers online sellers are looking for when sourcing new products is the sales volume, or gross merchandise volume. However, eBay product sales history numbers are tough to get obtain and often are associated with tedious manual research. With Algopix’s eBay Sales Estimator, you can get those numbers in a matter of seconds, enabling you to estimate the actual market size for your existing or new products, see how much market share you have, and determine if international expansion is a viable option to grow your business. 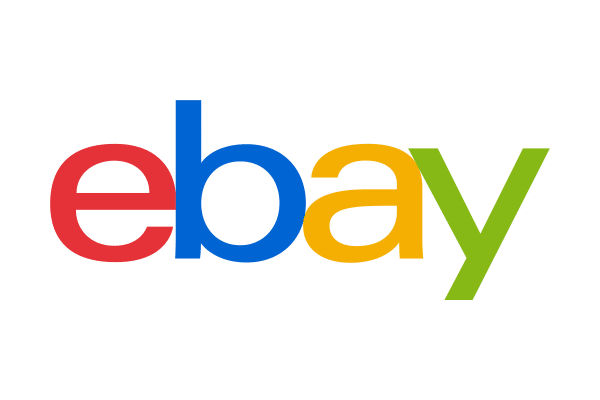 Throughout your journey as a seller on eBay, you need to stay up-to-date with recent market developments on eBay’s marketplaces, keep an eye on your competitors, and assess new market opportunities. These tasks used to be not only tedious but also time consuming. Algopix eBay seller tools relieves eBay merchants of those tasks with its data-driven insights for competitors on seven different eBay marketplaces all over the world. Not only does this allow you to relocate your valuable resources to more important tasks, but also enables you to assess new market opportunities on eBay as well as Amazon. When it comes to selling, traffic is the keyword to success. Especially in a highly competitive environment like eBay’s marketplaces, where many different sellers offer the same product and compete for the same customers, good marketing efforts are necessary to sustain a profitable business. There are two main ways to increase online traffic to your product listing: increase on-site traffic and increase off-site traffic. If you want to drive on-site traffic to your product listings, you need to optimize your eBay listings. This will make your products rank higher in eBay’s Best Match. Some key aspects you need to include in your product listing, if you don’t have it already, are image and description quality, stating your terms of services, and how complete your listing is. You can also use Promoted Listings to run ads directly on eBay to increase exposure of your product to potential customers. Off-site traffic relates to people searching for your product on other platforms than eBay – mainly on search engines like Google or Bing, but increasingly on social media as well. Google AdWords is tightly associated with Search Engine Marketing (SEM), which allows you to place ads about your product in front of potential customers when they search for specific keywords. Whenever a customer clicks on your ad, a payment to Google AdWords is due. Usually this is referred to as a pay-per-click (PPC) campaign. The payment is determined through an auction and depends on the popularity of the search term, bidding competition, and other factors. Setting up your own AdWords campaign can be very time-consuming because you need to identify search phrases to bid on, understand how to bid, and estimate different key values like the cost-per-click. Algopix’s Google AdWords Insights can help you answer all of these questions. It will offer you a recommended search phrase together with insights into cost-per-click, estimated cost-per-acquisition, bidding competition, and number of searches per month. Given this information, you can start your own Google AdWords campaign that will increase traffic to your eBay listings and increase your sales volume. Everyday, you have to research multiple new products. Searching manually for each of the products takes a lot of time which could be used better for other tasks. That is why Algopix eBay product research tools offers you the option to upload a CSV file containing up to 200 products and perform a bulk analysis. You will have the bulk eBay product research results in just a few minutes and can start working on other business related tasks sooner.